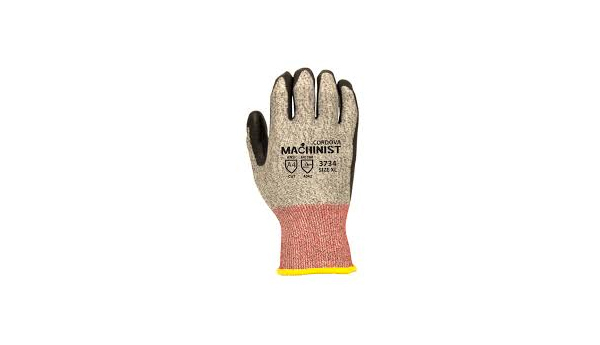 13 Gauge Salt & Pepper HPPE/Glass Fiber Shell, Black Foam Nitrile Palm Coating. Washing Instructions: Wash using warm water and commercial laundry detergent. Water temperature not to exceed 50C / 122F. Air dry or tumble dry with no heat.